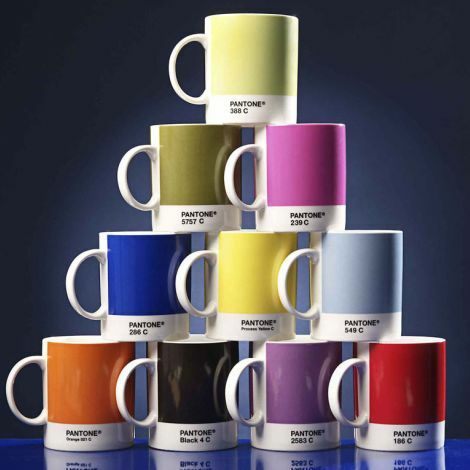 from the “form follows function” philosophy across the pond, english designers jackie and victoria have dreamed up these clever fine bone china pantone mugs. the two women are the brains behind w2, their fun and colorful company which features home products. the set of ten is selling for Â£72.00, or us $145. see more designs from the girls at w2. purchase the mugs separately for Â£8.00 (us $16) at graham and green. keep it up you clever fool!